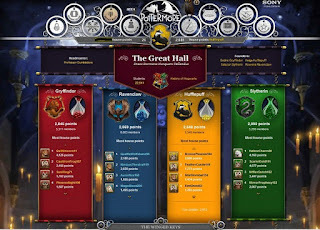 Since the inception of Pottermore, many people have been faced with a very serious identity crisis. Where the book Sorting Hat usually takes your wishes into consideration, the Pottermore Sorting Hat does not. 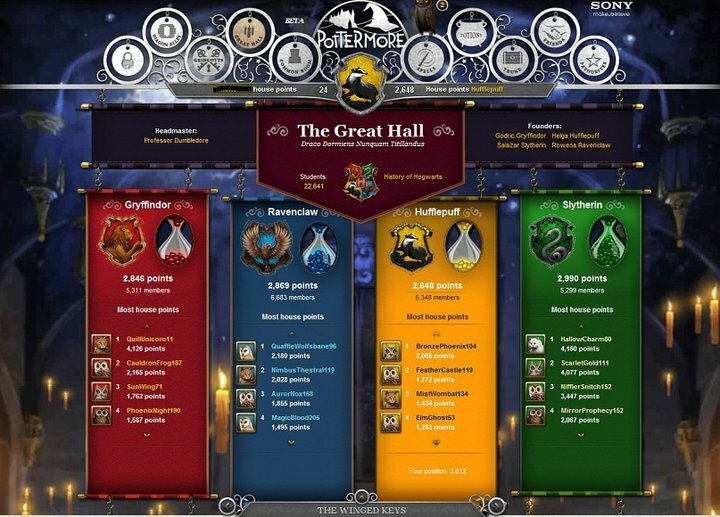 The Pottermore process involves asking the user several random questions about desired special abilities, greatest fears, life goals, and more. The user is encouraged to answer honestly in order to guarantee accurate results. The results, for some, have been less than welcome. Self-proclaimed Slytherins are getting sorted into Hufflepuff, Gryffindors are being named Slytherins, and this proud Puff has been placed in Ravenclaw. It's been a rough month for those of us who have been re-sorted. After the initial hullabaloo died down, I took some time to interview several “mis-sorted” students in hopes of solving my own Puff vs. Claw predicament. New York Harry Potter Meetup member, Hannah Taylor, a self-proclaimed Gryffindor, has been Pottermore sorted into Hufflepuff. While initially disappointed (I find that offensive), Hannah soon realized that she really did belong in the loyal house of the badger. "When I read my welcome letter... I realized that... I fit all of the traits of a typical Hufflepuff." Well, Hannah, welcome to my self-chosen house of hard-working, accepting, individuals. Of course, it may no longer be my house. Hunger Games Fireside Chat Podcast co-host and supposed Ravenclaw Adam Spunberg also had a rude awakening. His welcome letter gleamed emerald and silver when he was sorted. "I thought I would [be horrified]," Adam says about his results, "but lately I've embraced my inner Slytherin. Having the "seeds of greatness" doesn't [always] mean dark magic and pure blood lines." Well said, Adam. I expect to see you sporting a Slytherin tie at the next TGTSNBN meetup. You and Jon Rosenthal can match. As I read more and more sorting stories, I found that most were pleased with their results, even if they weren't "correct". I was beginning to wonder if I should hang up my Hufflepuff robes and don a set in blue and bronze. Maybe I've been a Ravenclaw all along. After all, I like to read, I am studying to be a librarian, and I pride myself on being a unique individual. My nerdiness seemed to perfectly match Pottermore's description. Unwilling to make a decision, I turned to my good friend and fellow Pottermore Ravenclaw, Michèle Leclerc Turgeon. Michèle, while sorted into Ravenclaw, considered herself to be a strong Slytherin. Despite an affinity toward Tonks, she is almost always decked in emerald and silver. When I asked her if she would stick with the snake, or switch to the eagle, her response was quick and sure: "[Of course] I will stay in [Slytherin]. I think I know myself better than a [seven] questions test, even if it was written by J.K. Rowling." Ah. Michèle's succinct response left me no better off than I was before. Has J.K. Rowling seen into my soul and proclaimed me a clever and unique Ravenclaw? Or should I stubbornly remain a loyal and hardworking Hufflepuff? Sometimes the hat takes your wishes into consideration as it did in Harry's case. Sometimes, it does not, as it did with true Gryffindor, Neville Longbottom. Both circumstances ring true, and helped the student in question achieve greatness. I guess in the end, it's really up to me. The Sorting Hat is sadly fiction, and I am almost two decades late for my sorting anyway. So, while J.K. Rowling can help to guide me and others with a seven question algorithm on a website, the true results lie within me. After all, the whole reason Hogwarts house matters is that it gives readers a tinted lens through which to view the world, and live peacefully and productively amongst its people. For now, I remain, a proud Hufflepuff. While I pride myself on being different, well read, and smart, the traits I truly value are loyalty, hard work, and acceptance. And while I still plan on receiving my Master's Degree in Library Science, it will be through hard work and determination that I will get there.